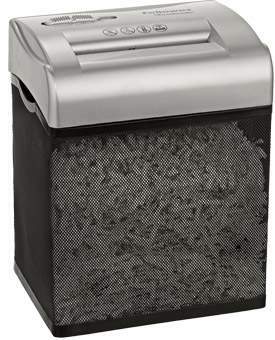 This shredder is very easy to use and is very effective. It is easy to empty and I am very satisfied with the product. I purchased this for my parents who saw it at a friends' and thought it would suit them. They are in their 80's & not into technical items! The small size suits their flat, they find it easy to use and gives them peace of mind that they can shred personal items they don't want. It is quieter than the one we use at home and they say it is trouble free. I was impressed with the speedy ordering and delivery process from your firm.